Certain areas of the manufacturing operations we provide in the MultiSource Manufacturing network have very specific requirements for a controlled, contained environment during the production process. Specifically, our manufacturing of high-quality precision-based semiconductor components demands a clean room meeting exact ISO standards as well as our own self-imposed standards. The MultiSource network utilizes an ISO Class 3 clean room to eliminate the potential for contamination in every stage of the production process for semiconductor components and full assemblies. With the protection our clean room provides, MultiSource is able to offer PFA fabrication and welding, in-house electric capabilities, and reverse engineering for even the most complex semiconductor projects. All of our locations have access to our Burnsville facility’s clean room. This clean room meets ISO level 3 classification and Class 1 Federal Standard 209E for eliminating biocontamination and other forms of particulate contamination in the production process. This filtration of microorganisms and particles is critical for the successful production of semiconductor components and assemblies because of the nature of the materials utilized in their manufacturing. Semiconductor assemblies are derived from glassy, crystalline materials such as silicon that have an electrical conductivity decreasing in resistance as temperature increases. Because of this and other properties of semiconductor materials, they are utilized to build electrical assemblies with unique allowance for amplification and energy conversion. However, the process of building semiconductor designed for integrated circuits used in most electronic assemblies requires a highly clean environment, not only during the semiconductor seed material refinement to produce chips with complete clarity, but also during all following production and assembly of semiconductor and electronic components. Even the smallest particle present in the manufacturing environment can, at the least, alter the quality of a semiconductor assembly and, at the most, completely damage the function of a component and the system as a whole. With access to an in-house, high-level clean room, MultiSource engineers and technicians are able to consistently produce high-quality, precision-based semiconductor components and assemblies for OEMS and other customers. To learn more about our world class clean room and additional clean room standards for the manufacturing of semiconductor components, submit a request more information or request a quote to get started with us today. The development and implementation of lean manufacturing practices has been a key tool in improving the production processes for a wide range of industries. Not only does lean manufacturing promote waste reduction and environmental conscientiousness, but it also provides cost-effective, streamlined procedures for production and storage of goods. At MultiSource Manufacturing, LLC, our network of facilities applies lean manufacturing across the board for all our design, fabrication, assembly, packing, and delivery services, including kitting and electrical assembly services. When it comes to precision machining and production of electronic components, a high-quality assembly process is key to creating a finished, reliable part. The MultiSource network provides comprehensive electrical assembly services, including electromechanical assemblies, electronics kitting, and we even have the capabilities to assemble and test completed devices. As part of our lean manufacturing standards, in-house kitting and electrical assemblies work to streamline our own production operations in the long-term as well as improving the efficiency of the supply chain for OEMs and our other customers. 1. Improvements in the manufacturing process that ultimately decrease the amount of material processing and inventory handling during our own production and that of OEM customers. 2. Minimized warehousing and storage space demands by reducing the amount of space components take up and organizing components in an easily inventoried system. 3. More practical inventorying possibilities with a system that cohesively organizes components with improved capabilities in quality control. 4. Reduction of deliveries to customer locations, in turn lowering costs of shipping and saving storage space. 5. Minimized potential for component damages with reduced handling during shipment and inventorying. 6. Improved recording and processing of components and full assemblies overall. Kitting is not only a useful way of categorizing and packing electronic components and assemblies into a cohesive unit that can be quickly and easily recorded and put into inventory, it’s also a true lean manufacturing practice that supports waste reduction and efficiency of production. For our high-quality precision machined electronic components and electromechanical assemblies, the MultiSource network relies on the benefits and capabilities kitting provides. To learn more about our kitting and electrical assembly services, submit a request more information, or request a quote online. With reports of increases in food-borne illnesses, frequent product contaminations, and overall food industry scares, it’s becoming more important that we turn our attention to our own practices and begin to make improvements where we can. MultiSource Manufacturing, LLC offers high-quality automated equipment with our custom manufacturing services, and as a player in the food industry, we believe it’s our responsibility to continue bettering our practices and products. With our partners at Forpak, we work to promote food safety and security with innovative solutions for food packing in Burnsville, MN. 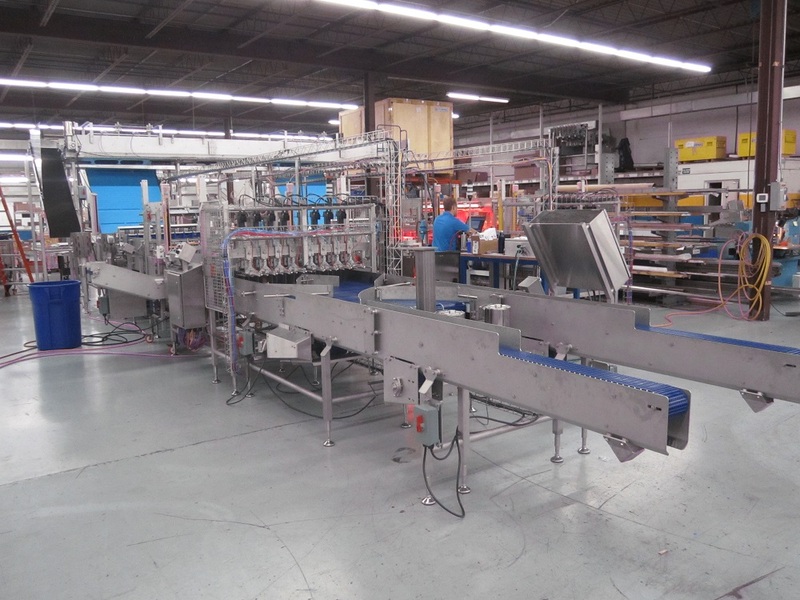 Forpak has over 25 years of experience in the design, fabrication, and assembly of high-quality food packing equipment, including conveyors, stackers, sorters, autotransfers, and more. Along with our established line of automated food packaging equipment, Forpak specializes in manufacturing custom packers for customers around the world. No matter how high the quality standards our automated equipment meets, however, our first concern is to always meet industry and company standards for sanitization, hygiene, and overall food safety. Forpak strives to meet industry standards for food safety with every new project and on a daily operations basis. This includes meeting strict sanitary rules for NSF 3A Standard requirements for meat and poultry and BISSC standards for baking. Forpak and the MultiSource network as a whole works to meet our own standards in manufacturing for food safety, hygiene, and sanitization. In addition to in-house regulations for workers, fabrication practices, and overall rules in support of long-term food safety, we focus on another key component of maintaining healthy food packing outside of our own facilities: automation. Forpak specializes in designing and building fully-automated food packing for baked goods, pizza products, meat products, and poultry products. Automation of a wide variety of packing equipment allows companies using our equipment across the world to eliminate human error in the sorting, stacking, and packing process. This alone reduces the risk of food contamination from human error at every step of the packaging process where Forpak equipment is utilized. The role of food packaging in the industry is a critical one but is also a role notorious for compromising food security and safety. Our goal as manufacturers of the equipment used in food packing is to continue innovating and improving ways of automating the process. Our line of custom equipment is built with food safety and security at the forefront of design. When you choose to partner with Forpak and the MultiSource network for high quality food packing equipment, you get the benefits of well-designed, flawlessly-built machines as well as the promise of food safety in the packaging process. To learn more about our expertise and experience with food packing submit a request more information. 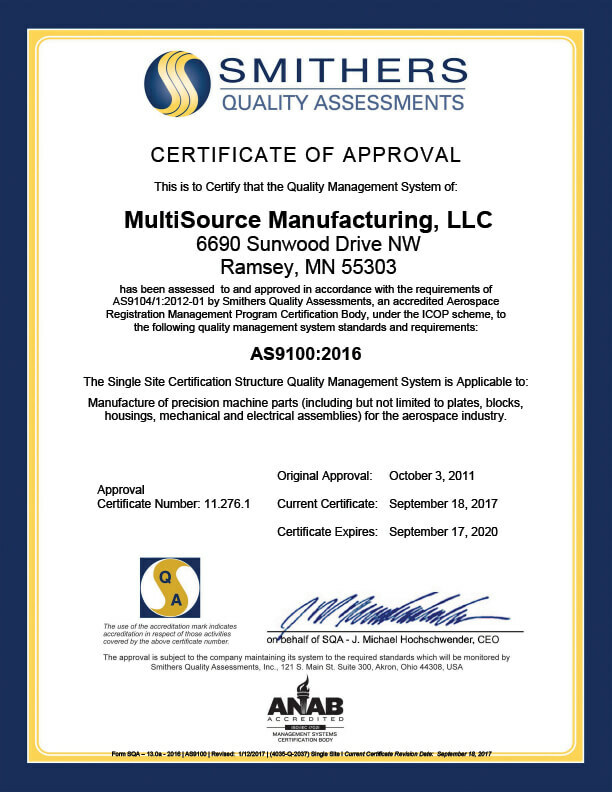 For more information about MultiSource Manufacturing, LLC, please submit a request more information, or request a quote to learn about our full network services. MULTISOURCE MANUFACTURING WELCOMES NEW TEAM MEMBERS! Adam Lee joined MultiSource Manufacturing this week as the General Manager for our Fridley, MN location. Adam will report to Ken Kucik, VP of Operations. Adam has experience in manufacturing at several locations, including as a manager at Best Source Electronics where he helped increase On Time Delivery and trained all employees on Lean processes and participation in Kaizen events. He also has experience in Continuous Improvement, scrap reduction, and cross-training of employees. Adam has a BA from the University of Minnesota, an MBA from St. Thomas, a certification in Project Management, and is a Six-Sigma Green Belt. He also served our country in the Army in the Middle East in officer roles. 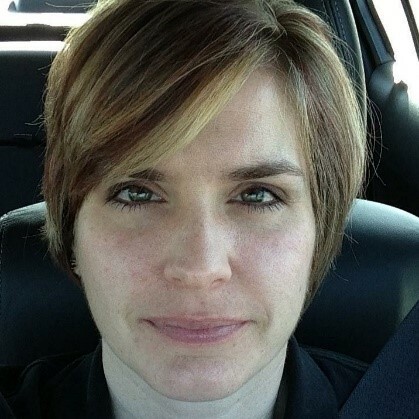 Alissa has joined our team as Sales Manager for Industrial products and will report to Brent Fischmann, VP of Sales & Marketing. Working from our locations in the Metro Minneapolis area, she will work with existing and potential customers to build relationships for future growth opportunities for the company. Previously, Alissa worked at Wurth Industries as a Key Account Manager and at Dichtomatik Americas in several roles including senior materials planner, inside sales manager, and industrial distribution business unit manager. She has her undergrad degree from the University of Minnesota and a Masters in Leadership and Management from Concordia. 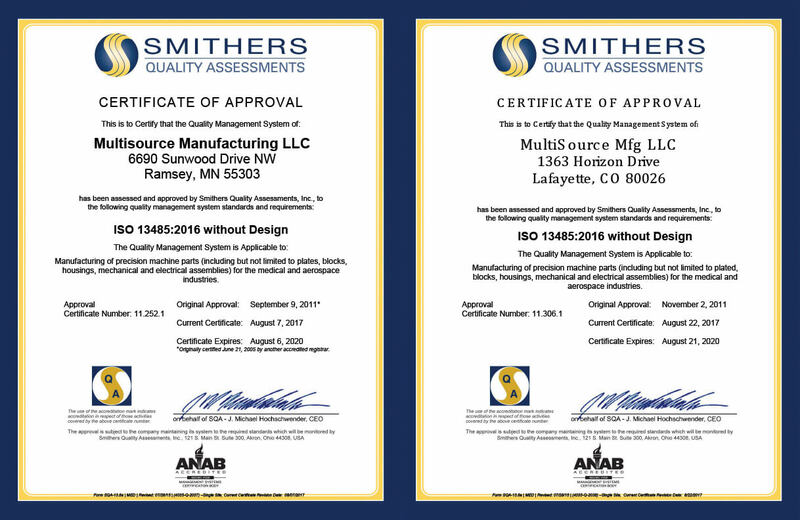 Since 1998, MultiSource Manufacturing, LLC has grown in size, capabilities, and skill. Today, we offer contract manufacturing expertise with comprehensive in-house production including design, machining, and assembly. Our facility locations span across Minnesota, offering quality contract manufacturing services from precision machining to plastic fabrication for a wide range of industries. As a member of the Minnesota Precision Manufacturing Association (MPMA), you can always expect the best customer care and service for custom manufacturing in Minnesota when you choose to work with MultiSource Manufacturing, LLC. Since 1955, the MPMA has supported machining companies and promoted innovation in the field and served as the leading voice for quality and reliability in precision machining. As a member of the MPMA, the MultiSource network is held to high standards for precision machining as well as all other components of our design, production, and assembly process. As a custom manufacturer, we’re committed to meeting your needs with any unique project you bring to our doors. Big or small, simple or complex, the MultiSource network is ready to take on new challenges every day. With an innovative MultiSource approach to the design and engineering process and state-of-the-art CNC machining equipment, our team of experienced and knowledgeable engineers, machinists, and technicians can quickly get your project underway. Select parts and fully-assembled equipment is manufactured with reliable quality and speed offering easily-integrated end results, all accomplished with continued communication between you and our staff. With every step of the manufacturing process for a custom product, MultiSource places a strong emphasis on continued quality. We believe that without quality assurance throughout the design, production, and assembly process, we wouldn’t be able to provide a truly comprehensive custom manufacturing experience that goes above and beyond customer specifications with long-lasting reliability and smooth integration into customer systems. Throughout the MultiSource network, quality control is essential. With our principles for custom manufacturing and precision machining, you can always expect quality and reliability every step of the way. To learn more about the support and vocal leadership the MPMA provides to precision machining companies, schools, colleges, universities, financial affiliates, and more, explore their website or contact them online. For more information about MultiSource’s services and the industries we serve with custom manufacturing, contact us at (952) 456-5500, request more information, or request a quote. 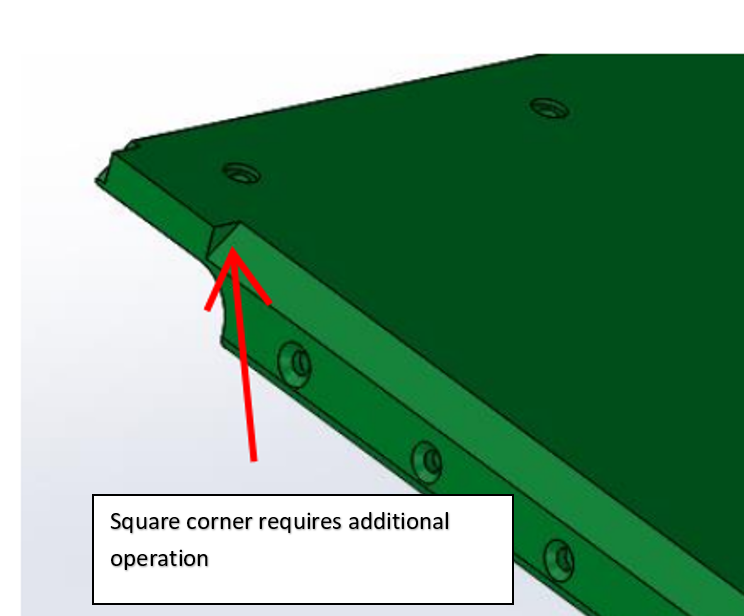 Design Tip #1 – Key Features & Tolerances – Watch the Corners! Reducing time to market in new product development is a top priority for all our customers. Working together to make best practice decisions on key feature tolerances in the prototype phase will enhance manufacturability and dramatically reduce machining time and cost. 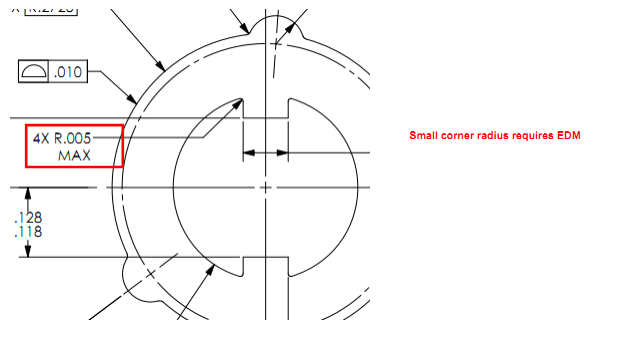 Common issues that drive cost in machining include sharp corners and/or small inside corner radii. Why is this problematic? A tight, small corner radius (e.g. 0.005) will require EDM machining rather than conventional CNC milling. Providing a larger inside radius (0.032+), when applicable, allows a continuous mill path which significantly reduces cycle time. Square corners also add additional process steps and machining operations, driving cost and lead time. For inside corners, plan to use radii 10% or larger than depth of cut, (i.e., .060” radii should not machine deeper than .600” etc.) Providing this tolerance “relief” in a design will allow a machining partner to use multiple available milling work cells and speed machining operations through the shop. Watch our Blog for more “Best Practice Design” suggestions. MultiSource partners with our customers beyond prototype development, to support production launch and life of project production requirements. We have the scale to succeed in the most demanding production environments while maintaining the customer focus to provide individual support. Ask us to show you how machined prototypes will reduce your development time and costs. NEW FROM THE PRODUCTION FLOOR! In June FORPAK shipped its largest project of the year to date – a dual system with two forms of laning equipment, vision and quality control and of course stacking equipment to a North American customer looking to dramatically improve throughput volume in frozen hash brown production. The FORPAK full system can stack at 800 patties per minute. In this high-volume application for rectangular product, the customer will achieve dramatic labor reductions while improving product flow and quality. “This has been a tremendously successful team effort with the customer to develop a great solution to fit their specific needs,” said Forpak GM Patrick Goche. For more information about the full range of FORPAK products, click here! MULTISOURCE BOULDER OPERATION WELCOMES NEW GENERAL MANAGER! Kevin Menard joins the MultiSource operations management team. Kevin Menard joined MultiSource Manufacturing this week as the General Manager for our Boulder location. Kevin will report to Ken Kucik, VP of Operations. 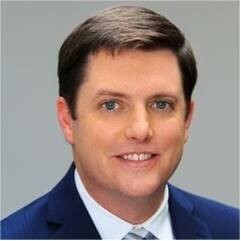 Kevin has a Bachelor of Science degree in Plastics Engineering from the University of Massachusetts and an MBA from University of New Haven. He has worked in various manufacturing companies in Connecticut, Great Britain, and Colorado in a variety of roles including Process Engineering, Project Management, Quality Assurance, and Production Management. Most recently he served as both a Senior Manufacturing Engineer and as the Manufacturing Operations Manager at Surefire Medical Inc., a medical device manufacturer in the Boulder area. When he’s not working, you can find Kevin spending time with his family or playing or coaching hockey. Learn more about our Boulder location and capabilities today! We live in a rapidly changing world. Advances in technology change industries daily, and companies have to keep up to survive. At MultiSource Manufacturing, LLC we understand the importance of change and strive to improve our manufacturing systems every day and work to acquire up-and-coming companies that can offer a greater range of high-quality services to our customers. With our locations across Minnesota and Colorado, the MultiSource network is able to offer reliable, customizable contract manufacturing across the country. In 2006, the MultiSource network acquired Forpak and have since innovated changes in food packaging, stacking, and handling, offering solutions from the ground up. 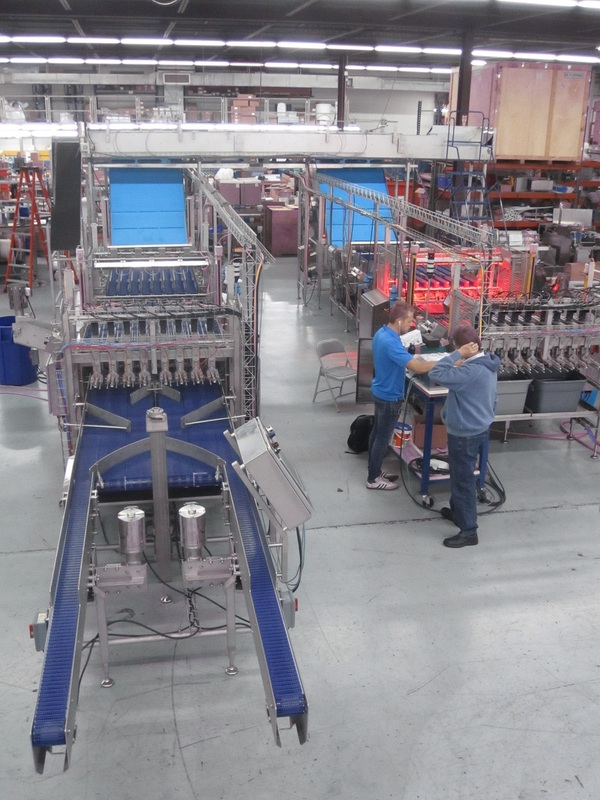 This has made us an industry leader in designing and building automated packaging systems. Designed and built in-house, Forpak’s custom automatic stacking equipment meets industry standards for hygiene and sanitization and limits human contact, and therefore, error. With the additional integration of Allen-Bradley controls and Cognex vision systems, our custom equipment features precision-based processing and data recording capabilities. PR Newswire predicts a rise of food sorting machines value on the market, and growth forecasts like these show Forpak and the MultiSource network the importance of continuing to improve and develop stronger designs and smarter automated equipment for food packing. Forpak’s GSS, GSSB, and GSII stackers provide the efficiency, speed, precision, and automation the industry needs to streamline food sorting and packing. Our machines sort, stack, and pack at rates of 80-100 pieces per minute per lane, and with customizable lanes, conveyer belts, CE compliancy, autotransfers, and vision systems, our customers can find exactly what they need with Forpak. Because of Forpak and the MultiSource network capabilities in design and fabrication, we can also provide innovative solutions for custom equipment tailored to our customers’ exact specifications and goals in food sorting and packing. From baked goods to meats, our automated sorting, stacking, and packing equipment provides solutions for the food industry. To learn more about our stackers and other equipment, submit a request information or request a quote from Forpak. You can also learn about the MultiSource network and our complete services for contract manufacturing across the country. To get started, request a quote from MultiSource or request more information about additional services in the MultiSource network. In mid-April, FORPAK shipped an 8-lane version of its GSS Servo Stacker to a North American customer looking to dramatically improve throughput volume in backed cracker production. The FORPAK system can stack at 80 pieces per minute, per lane. In this high-volume application, the customer will achieve dramatic labor reductions while improving product flow and quality. For more information about the full range of FORPAK products please click here!